Robert B. Sherman has forged a phenomenal career as a songwriter, screenwriter and painter. Along with his brother, Richard, he is responsible for the iconic scores of Mary Poppins, Jungle Book, The Many Adventures of Winnie the Pooh, Chitty Chitty Bang Bang, Charlotte's Web and The Tigger Movie, to name just a few. But to fully appreciate the impact of his songs, one has to get to know the man behind them first. 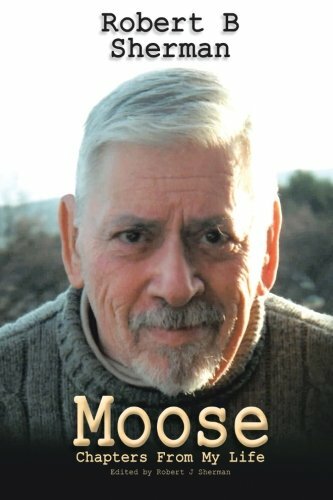 Finally, in his own words and inimitable writing style, comes his long awaited, definitive autobiography: Moose, the delightful and unconventional story of a creative giant, who changed the fabric of the Family Musical forever.